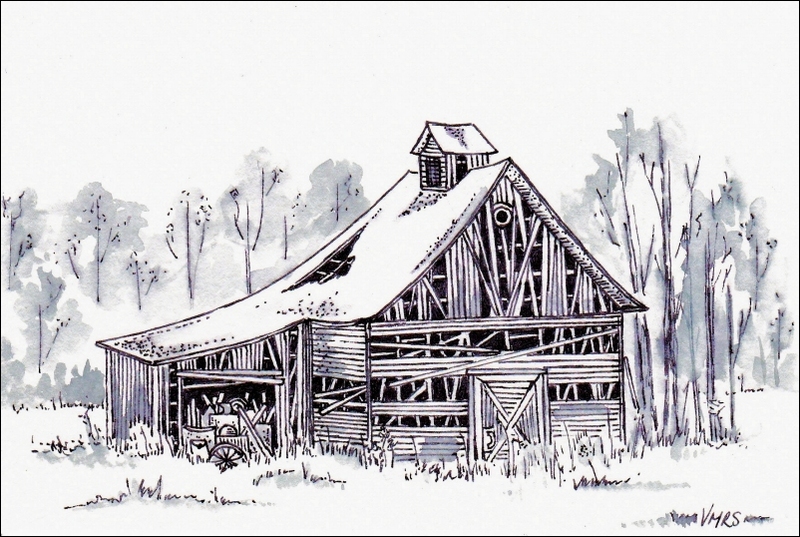 Solid door on a dilapidated barn, ink, 4×6 inches. 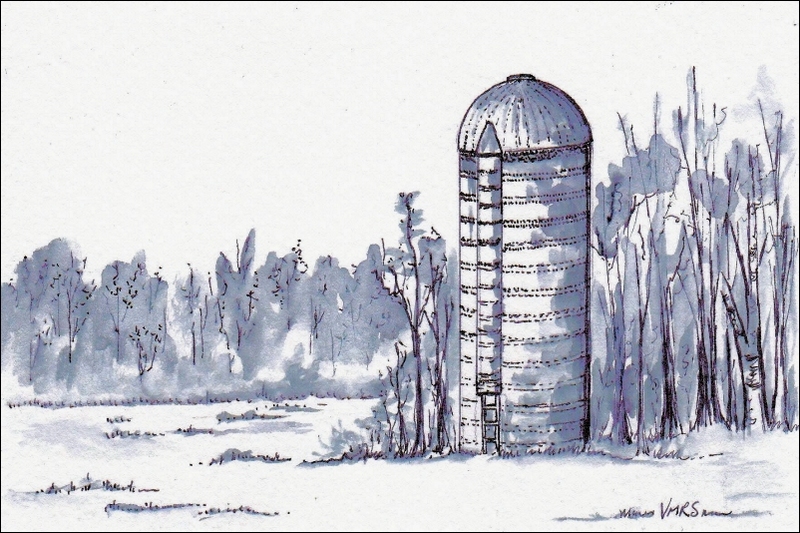 Old silo with climbing tunnel, ink, 4×6 inches. I love the old barn-someone’s livelihood at one time. Your ink work is beautiful.